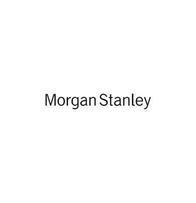 The Gregory Group is a wealth management team at Morgan Stanley, one of the largest wealth advisory firms in the world. With decades of advisory and investment experience, the lead team members – Donald B. Gregory, Senior Vice President, Portfolio Manager, Financial Advisor (46 years); and Dean B. Gregory, Vice President, Financial Planning Specialist, Portfolio Manager, Financial Advisor (18 years) – help our clients achieve their most meaningful goals. Through an uncompromising commitment to delivering intellectual strength, quality service and personalized attention, The Gregory Group provides an intensely personal experience to high net worth individuals, their families and corporations. The Marty Lyons Foundation (MLF) was established in 1982 to fulfill the special wishes of children, ages three (3) to seventeen (17) years old, who have been diagnosed as having a terminal or life-threatening illness by providing and arranging special wish requests. We are unique in that we will grant a second wish to a deserving child. The Foundation has 10 Chapters granting wishes in 13 states - Alabama, Connecticut, Florida, Georgia, Maryland, Massachusetts, New Jersey, New York, North Carolina, Pennsylvania, South Carolina, Texas and Virginia. Incorporated in 1982 as a not-for-profit, tax exempt 501(c)(3) organization, MLF has granted over 7,300 wishes and is dedicated to making more dreams come true for our children. Dean is a Vice President, Financial Planning Specialist, Portfolio Manager & Financial Advisor on the team. Dean graduated from Hofstra University in 2000. He began his career as a Client Service Associate at PaineWebber Jackson & Curtis in 1996 before becoming a Financial Advisor in 2000. Dean focuses on the coordination of all facets of the teams Wealth Planning process including Family Governance, Financial Planning, Philanthropy, Asset Protection, Cash Management and Lending Services, Asset Management and Corporate Retirement Planning. Dean joined Morgan Stanley in 2009 from UBS. Dean lives on the North Shore of Long Island with his wife Jennifer and two daughter’s Scarlett & Eva. 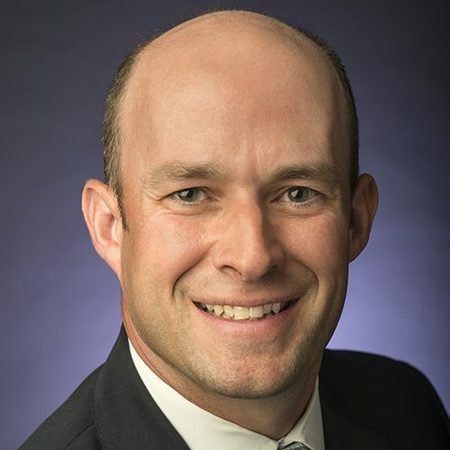 He became an Eagle Scout in 1995 and is active in both the National Eagle Scout Association and was an active Director of The Marty Lyons Foundation from 2016 to 2018. 2Morgan Stanley Smith Barney LLC (“Morgan Stanley”), its affiliates and Morgan Stanley Financial Advisors and Private Wealth Advisors do not provide tax or legal advice. Clients should consult their tax advisor for matters involving taxation and tax planning and their attorney for matters involving trust and estate planning and other legal matters. 3Morgan Stanley Smith Barney LLC does not accept appointments nor will it act as a trustee but it will provide access to trust services through an appropriate third-party corporate trustee. 4Morgan Stanley offers a wide array of brokerage and advisory services to its clients, each of which may create a different type of relationship with different obligations to you. Please consult with your Financial Advisor to understand these differences. 8Investors should consider many factors before deciding which 529 plan is appropriate. Some of these factors include: the Plan’s investment options and the historical investment performance of these options, the Plan’s flexibility and features, the reputation and expertise of the Plan’s investment manager, Plan contribution limits and the federal and state tax benefits associated with an investment in the Plan. Some states, for example, offer favorable tax treatment and other benefits to their residents only if they invest in the state’s own Qualified Tuition Program. Investors should determine their home state’s tax treatment of 529 plans when considering whether to choose an in-state or out-of-state plan. Investors should consult with their tax or legal advisor before investing in any 529 Plan or contact their state tax division for more information. Morgan Stanley Smith Barney LLC does not provide tax and/or legal advice. Investors should review a Program Disclosure Statement, which contains more information on investment options, risk factors, fees and expenses and possible tax consequences.